The world of online games for kids isn’t exactly burgeoning with option. They can build co-operatively in Minecraft, chat and play games in Club Penguin, but other than that it’s mainly full of gaming portals populated by brief, educational titles for the little nippers. They don’t really have an online adventure game to get their teeth into with their friends. Until now, thanks to Funcom. 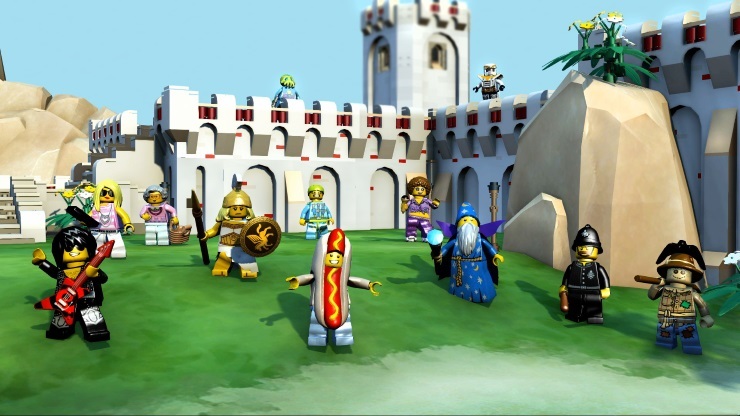 LEGO Minifigures Online is a kid’s MMO. 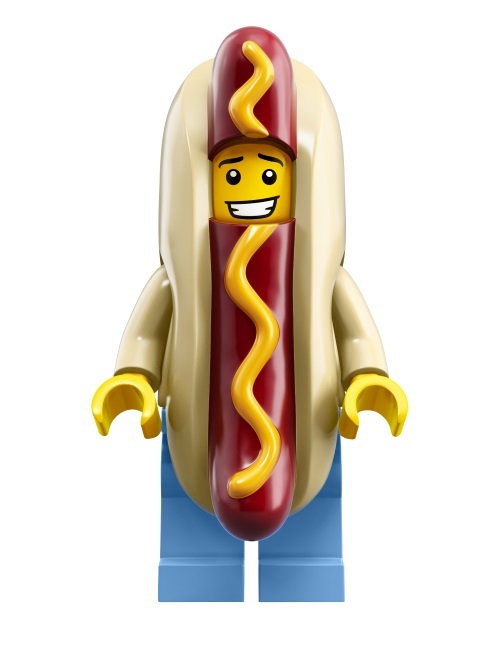 Rather than base it on LEGO’s core products and licensed spin offs, Funcom have elected to base it on their range of Minifigures (the characters that come in little bags). From the off you select one of three characters, generate a random name and are thrown into the world where the Ghost Pirate Dreadleg has stolen your silver compass for some reason, and you need to get it back. 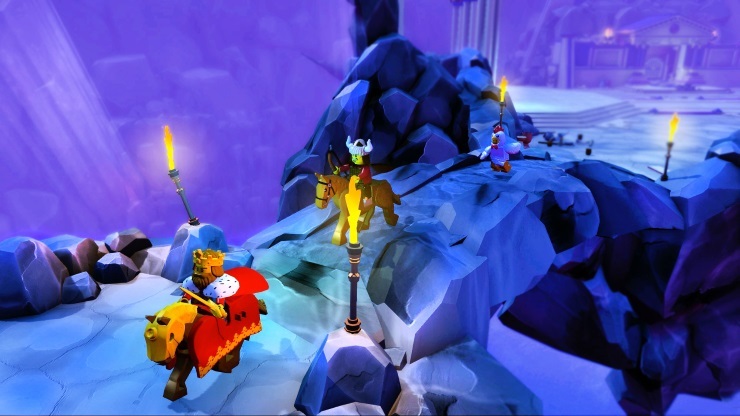 Unlike your traditional open world MMOs, the locations of LEGO Minifigures Online are structured more like Skylanders or Diablo, comprised of generally linear routes, with the occasional dead end divergence or instanced cave to explore. 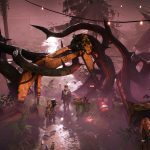 The instances themselves are short experiences which end with a battle against a mini boss, while smaller location-based challenges crop up as you move through the worlds, consisting of your usual MMO style objectives of “kill X of these” or “collect Y of that”. Constant success sees you rewarded with new Minifigures or minifigure parts to add to your roster. You see, you’re not restricted to your starting choice of character; once you’ve unlocked further figures you can go into battle with a roster of three which you can switch between at will; this gives you avenues for adjusting your tactics. If, for instance, close range fighting isn’t working for you, switch to a ranged character. While repetitive, the basic gameplay is at least fun, as you smash your way through the levels, decking bad guys and building certain items to progress to the next segment. 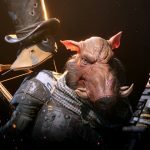 It’s not going to stun you with its depth, but it works, and kids will get a kick out of marching out with a group of friends to tackle some of the game’s harder boss challenges; when it all works, it works very well. The locales are chock-full of enemies and breakable items that reward you with XP, stars (the game’s currency), or both. In true MMO fashion, you’ll hit things until you level up and then use the currency to purchase ability upgrades to aid you in your quest(s). Much of the items in the world are “made” of LEGO, more so than in Tt games’ series. It adds an element of charm that occasionally the latter’s games lack due to the more “realistic” textures they use for their levels. Even on iOS the colours are vibrant and the places full of character. The sounds leave a little to be desired: while voices are clear and have a wide range, the in-game noises are essentially gibberish; in fact, if you were to close your eyes you’d feel like you were playing Angry Birds. Controls are simple: you have your movement – which is complimented by the best virtual d-pad I’ve ever used – and then two buttons, attack and special attack. The attack button is contextual, and changes dependent on the situation. Around nothing it’s a basic attack, near moving LEGO blocks it allows you to build the relevant item, which is slightly irritating as if you’re close to those building blocks while attacking the game will opt to build instead. As well as this, attack commands can send your character hurtling towards scenery to destroy it, rather than either attacking the enemy or destroying the scenery item that’s directly in front of you. Being an online game, it comes with all the problems that can crop up with anything that requires an internet connection to play. On several occasions I was unable to connect to the servers to play, areas bustling with enemies and environmental hazards are hindered by excessive lag and on one night the game was almost completely unplayable; I was able to get on, but none of the enemies or environmental hazards would render, and the projectiles of ranged characters wouldn’t appear. This resulted in me being constantly killed by things I couldn’t see, which prevented me from making any progress at all until the servers settled down. Also, don’t expect that initial outlay of £3.99 to be all you pay on iOS; that only covers the first segment of the game (which is pretty lengthy, in fairness). After that, there are several new worlds to go to, all of which need to be unlocked with – you guessed it – in-app purchases: £2.29 per world to be exact. While you might not mind only playing the beginning and never going back, when your child comes up to you with sad puppy dog eyes saying he wants to go to the next world it’s going to be hard to say “No”. Regardless the prices aren’t excessive, and overall it’ll be cheaper than the PC version. 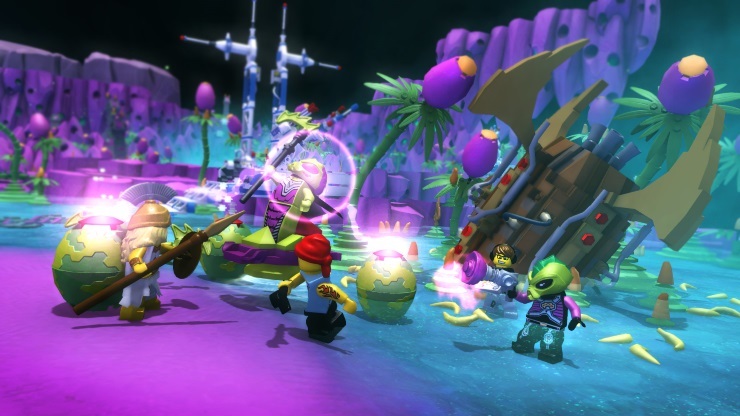 LEGO Minifigures Online is alright enough as a bare bones kids online game. It looks good and kids will like the simple gameplay loop of hitting enemies and collecting stars. It’s just a shame that it’s let down by poor attack controls, repetitive gameplay and occasionally crippling online problems. Levels full of stuff to see and do. 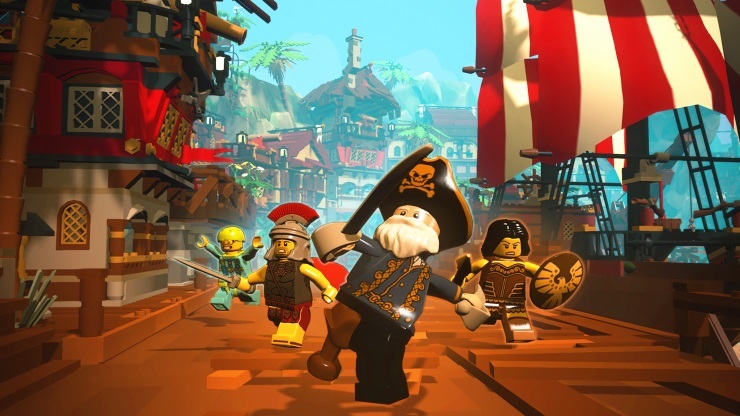 Lego Minifigures Online may want to build a fanbase, but those IAPs are as painful as stepping on a LEGO brick.